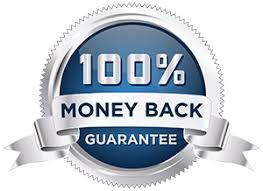 We care that you are completely satisfied and happy with our products and if for any reason the product does not meet your expectations we offer a 100% MONEY BACK GUARANTEE! All products carry a full 90 day money back guarantee from the date that you RECEIVE your order – not the date that you place your order. Simply return it within 90 days from receipt for a full refund of the product price. It’s that simple. In your return, please BE SURE TO INCLUDE YOUR FULL NAME AND ADDRESS and/or a copy of the receipt that was sent with the order. Once your return is received your refund will be processed, and a credit will automatically be applied to your credit card or original method of payment, within 7-14 days.